My one year blog anniversary. My "favorite" Zulily Finds...part 3. 4. Birmingham Blogging Academy - I look to Alabama coach Nick Saban for blogging help. 5. Wade on Birmingham - Who won in 33 mayoral races in the Birmingham metro area. Looks like a great holiday weekend! Glad to be finished with the rain and wind! 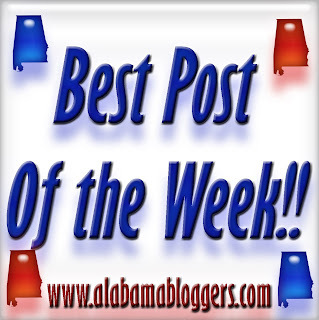 Please don't forget to add Fairhope Supply Co. to the list of blogs in South Alabama. Mine is yesterday's post full of all kinds of randomness including our new diet, some helpful links, and some shop info. Fun stuff.